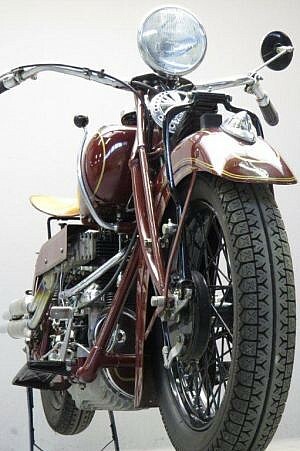 Marketed as the Indian Ace for 1928, the Springfield company’s first four-cylinder motorcycle had resulted from its purchase of Ace rights and tooling from Detroit Motors the previous year. The Ace company, although bankrupted twice, had developed a fundamentally sound four-cylinder motorcycle based on William Henderson’s original design, and this provided Indian with an opportunity to offer an inline ‘four’ with minimal development costs. The Ace was William Henderson’s second four-cylinder motorcycle. 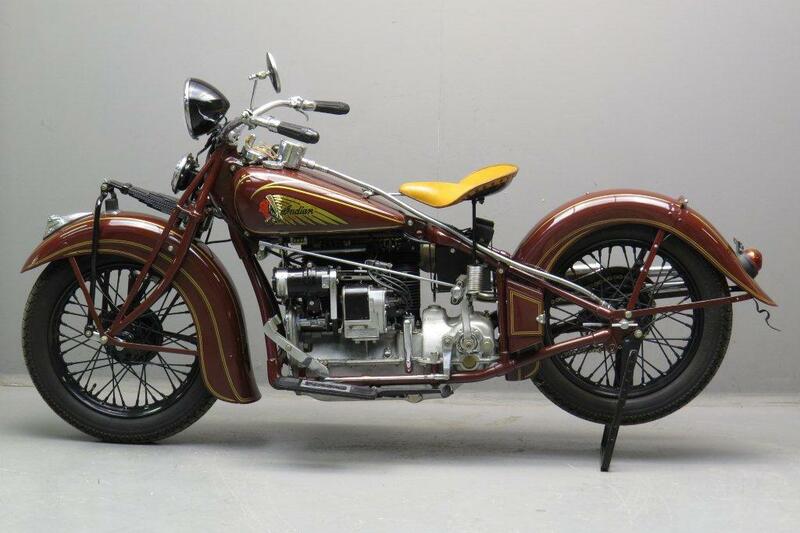 One of the most charismatic names in American motorcycling history, the Henderson company – founded by Tom and William Henderson in Detroit in 1912 – produced nothing but four-cylinder motorcycles in the course of its 19-year existence. 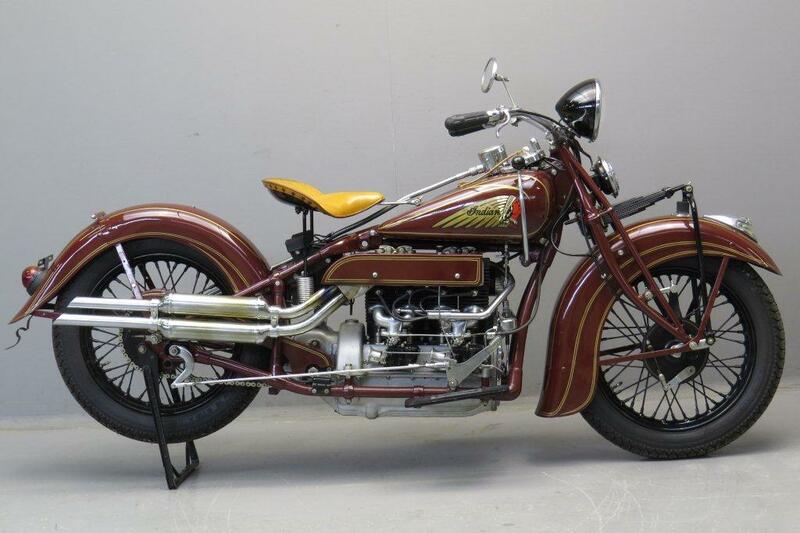 The firm passed into the control of Chicago-based cycle maker Ignaz Schwinn, owner of Excelsior, in 1917 and Bill Henderson soon moved on to found the Ace motorcycle company – later taken over by Indian – thereby having a hand in the design of all the major American-built fours. 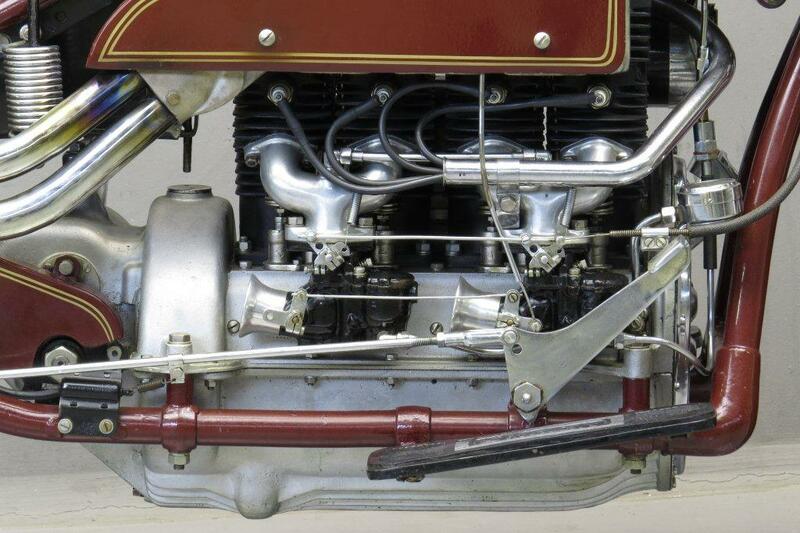 The first Ace four had been offered late in 1919 for the 1920 season, and retained the ‘F-head’ (inlet-over-exhaust) valve gear of the original Henderson. Ace enjoyed considerable competition success, including a new transcontinental record and a new American motorcycle speed record of 129.61mph, but these achievements were not matched by sales and the company went bust in 1924. 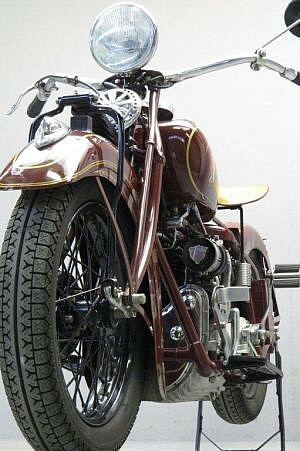 By 1926 the reconstituted firm was owned by Detroit motors, from which it was bought by Indian January ’27. 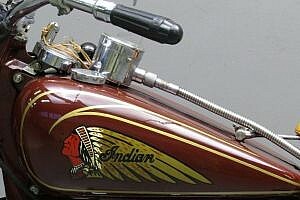 The Indian Ace changed little for the next couple of years before the Springfield firm began to put its own characteristic stamp on the Four. This transformation began with a restyle for the 1929 season (Model 401) followed by a new Indian-style twin down-tube frame, leaf-sprung front fork and a five-main-bearing crankshaft on the Model 402. Introduced on 1st June 1929, the latter was the biggest single change made to the motor up to mid-1935 when the so-called ‘upside down’ Four was introduced. 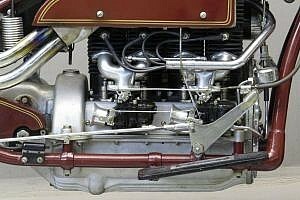 Reversing the conventional ‘F-head’ arrangement, the latter featured overhead exhaust valves with inlets at the side, the theory being that this would provide better cooling and thus increased power. In practice the layout proved somewhat impractical – the exhaust tended to fry the rider’s leg despite the heat shield – and few liked the new Four’s looks. 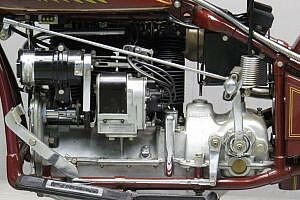 As seen here, updated with twin carburettors for the 1937 model year, it was missing from the ’38 catalogue: replaced by a new Four that restored the valves to their old positions. Changes after 1938 were few. Production of the Indian Four, America’s last four-cylinder motorcycle, ceased in 1942. One of the world’s most beautiful and collectible motorcycles, this restored Indian ‘upside down’ Four was in a private collection for many years and used only on shiny and dry summer days. It has been converted to right -hand side throttle control but this can easily be converted to the original configuration.